Carolyn Roberts outlines the unequal struggle between economic demands, people’s enjoyment and the needs of the environment. The UK’s National Parks include some much-loved landscapes. Around 10 per cent of England, Scotland and Wales is currently designated as National Park, broadly for its scenic value – a heady mix of geology, climate, ecology, water and land use that makes for a memorable view. The designation is intended to protect land from the pressures of modern life, preserving it for future generations in the face of inappropriate commercial activity. But unlike many of the 113,000 National Parks elsewhere in the world, the UK’s National Parks are neither owned by the nation, nor are they environmentally ‘intact’ – each one has been dramatically affected by centuries of human habitation. In addition, over 90 million tourists tread the ground every year, particularly at well-known honeypots such as Hadrian’s Wall and Derwent Water. The UK’s National Parks are hence always caught up in controversy over how to conserve the best of the country’s scenery, ecology and rarer wildlife, whilst simultaneously allowing local people to earn a living, and visitors to enjoy the spectacle. However, our perception of what is appropriate to conserve may fly in the face of science. 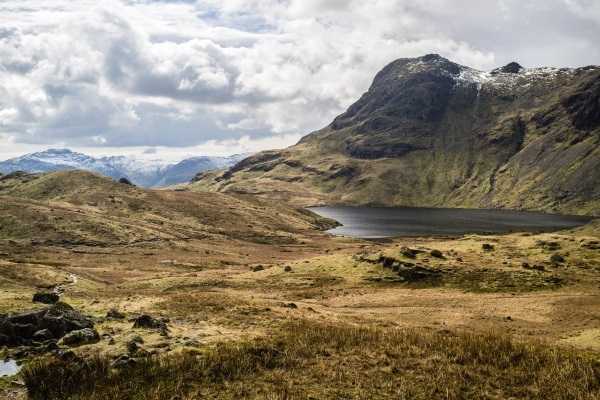 Environmentalist George Monbiot, for example, characterises some of the best-loved UK National Parks as ‘wet deserts’ because of their diminished biodiversity and wholly artificial ecosystems, and suggests that preservation in this state is undesirable. UK National Parks do contain above-average proportions of the most wildlife-rich habitats such as heaths, fens and ancient woodlands. It is also true that up to 80 per cent of some specific habitats that are priority targets for conservation are within the National Parks and that they are homes to endangered species such as the fen raft spider, currently the subject of a reintroduction programme. But large areas of National Parks are not particularly valuable ecologically, having already been damaged by intensive cultivation, sheep grazing and afforestation with non-native trees. 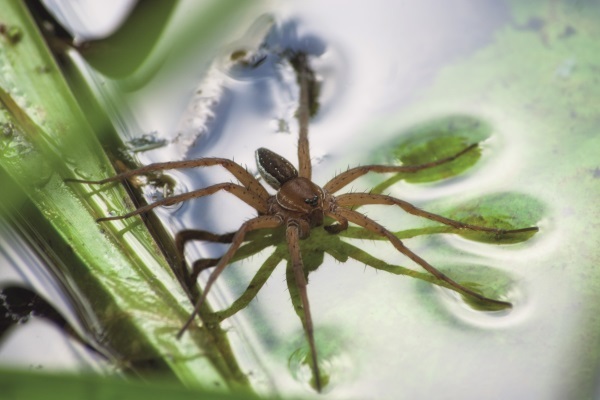 The main difficulty in reintroducing the fen raft spider and other endangered species is the loss of much of the relevant habitat, which is part of a wider problem associated with human pressures. This has left protected fragments that are too small to be viable, where reintroduction of threatened species is likely to fail. Our National Parks are the focus of controversies between local residents, Park users, Park managers, local government and others. At Tyndrum, in the Loch Lomond and Trossachs National Park, disagreements between residents, an Australian-registered gold mining company and the Park Authorities prevented the processing of gold ore. However, following the reversal of this decision in February 2018, the expectation is that 23,000 ounces of metal can be produced without significant environmental damage. Local residents are largely in favour, as the production of unique Scottish gold wedding rings could create well-paid jobs and bring income into an impoverished region. However, the Park Authorities and other residents are concerned about mine tailings killing moorland vegetation, pressure from noise and traffic, and potential water pollution from acid drainage. The tailings might be sculpted into an artificial glacial ‘moraine’ which could have unforeseen implications for the educational experiences of future students of geomorphology. At Honister Pass in the Lake District National Park, a proposal for a recreational zip line created controversy in 2012, and was twice refused. The Friends of the Lake District, the Cumbria branch of the Campaign for the Protection of Rural England, Cumbria Wildlife Trust, the Wainwright and Open Spaces Societies all objected strongly on the grounds of impact on landscape character and loss of tranquillity. 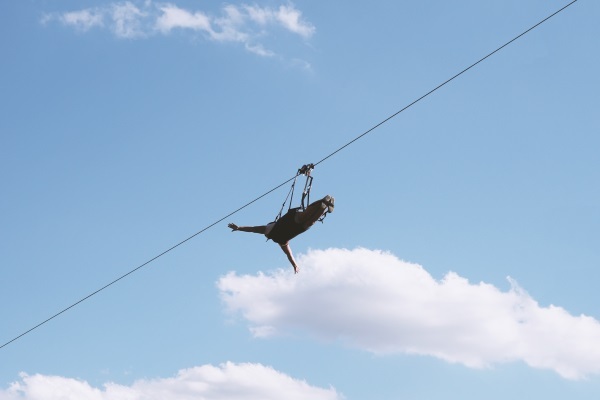 It was alleged that a zip line would create parking problems, and would intrude on the views of ‘wilderness’, or at least of relatively wild environments. Environmentalists suggested that the charms of the area would be destroyed for fell walkers and hikers by the shrieks of the riders. Conversely, the aspirant entrepreneur suggested that the zip line would have minimal impact, would be used for transporting slate as well as riders, and would bring new money into an area that had non-native tree planting and was already heavily mined. In November 2018, permission was granted, aligning the Lakes with Snowdonia and the Peak District where thousands of visitors already enjoy recreational zip lines, treetop trails and other commercial forest-based experiences, apparently without much opposition. Elsewhere in the Peak District National Park, clashes between hikers and off-road motor and trail bikers have prompted serious animosity, with police involvement and threats of legal action between different users of green lanes (unpaved roads with historic rights of way for motorised vehicles, horses and pedestrians). The differing priorities generated apoplectic exchanges on social media as well as on the trail. Some messages asserted that trail bikers had a legal right to use these public rights of way, that bikes were less dangerous than horses or dog fouling, and that motorbikers’ access to these exciting routes was already constrained. This contrasted with messages suggesting that the hikers were elderly, bigoted, hypocritical, ‘grumpy old gits’, whose opinions were unimportant, and worse. Whilst readers may grimace at the Anglo-Saxon epithets, it remains unclear whose views should have priority. One suggested solution is to pave the roads, removing the attraction for off-road bikers, but presumably no one would prefer that option to the status quo. In practice, most cases have been resolved in favour of environmental protection but there are grains of truth in the bikers’ assertions. For simplicity these imperatives can be represented in a Venn diagram, where different interests may be weighted more or less heavily, dependent upon the prevailing political climate. In the case of the green lanes, where local people have objected to bikers enjoying some of the special qualities of the area (for example the gradients, and the challenge of sport in a legal off-road location) and green lanes are gradually being removed from bikers’ use, then it is useful to emphasise the changes in balance amongst the three sets. There may be some damage from motorised vehicles on local ecology and conservation, but they are probably quite slight overall. However, the weight of local opinion from resident walkers and horse riders, with their own impacts on footpath erosion, car parking and litter, is also observable. There is a raft of other legislation too, protecting specific habitats, species and activities. Of course, in the case of opening a gold mine, where it would be necessary to cover part of the ground with mine tailings, or construct a pseudo-glacial moraine, then the National Parks conservation priority could not hold. Similarly, if it could be demonstrated in the zip line case that ‘enjoyment’ and ‘access’ were very important, then conservation would not come first. However, unpicking what is intended by the statutory purposes is even more complex. Statements about natural beauty quickly run into difficulty. Most of the land cover of UK National Parks is not natural in any meaningful sense. In terms of vegetation, natural scenery would principally comprise the ancient beech and oak woodlands of postglacial England or Atlantic hazel woods in the Scottish uplands, which were largely removed by human activity in the Bronze Age. Re-establishing these woodland ecosystems would block the views of many of the features that visitors now enjoy. Nor would many farmers and walkers want the reintroduction of wolves, bears and lynxes, even though these too are natural inhabitants. Visitors also enjoy the constructed ‘chocolate box’ agricultural scenery. The landscape of the Norfolk and Suffolk Broads, for example, is almost entirely a human artefact of pumped drainage, river straightening and fuel extraction carried out from the 17th century onwards. These peaty areas are no longer drowned under the postglacial sea, or ‘rushy, plashy fen’,3 but are now often dried out, shrunken and oxidised organic soils resulting from water extraction within and beyond the Park boundaries, and are intensively cultivated. Whereas some concept of ‘restore’ to an arbitrary point might be achievable, ‘rewilding’ National Parks to some notion of a romantic, pristine past with ancestral ecosystems and roaming predators is probably undesirable and almost certainly impossible. The contradictions within the statutory purposes are too many to describe. Water in National Parks, for instance, is very popular as an element of beautiful scenery, but reservoirs are not in any sense natural. Water is sucked away from several of our National Parks to supply cities. Buttermere may be a more-or-less natural lake (though its ecology is not), but Thirlmere is managed as a water supply reservoir, its levels rising and falling in response to the demands of Manchester. For many years, people were excluded from close access to the water, too. Contradictions arise in relation to water and wildlife as well. Conservation is suggested as an imperative, but angling is permitted in many National Parks, which may not be consistent with preservation of wildlife, or at least of individual fish. Beyond that, although there are some heroic attempts to reintroduce specific endangered species of animals and plants, UK society judges it appropriate to pay only about £1 per person per year for the privilege of maintaining National Parks. In fact, biodiversity is greatly threatened across the UK, and it is difficult to see whether National Park designation has produced much benefit. Red-List species exist, but wildlife conservation locally and internationally remains problematic. The World Wildlife Fund found in 2014 that from 1970 to 2010, the average numbers of 3,000 species of mammal, bird, reptile, amphibian and fish had declined by over 50 per cent because of unsustainable human consumption.4 With or without its National Parks, the UK is participating in this sixth great extinction. Over the last 40 years, for instance, two-thirds of the UK’s common larger moths have declined, according to Rothamsted’s 2013 national insect survey,5 despite the protection nominally afforded by National Parks. Moths are a good indicator of wider problems with habitat protection. There is some evidence that moth declines are greater in the south where National Parks and habitat protection are thinner on the ground than in the north of Britain, but the evidence for effective protection is not compelling. The UK’s residents tend to want their landscapes and habitats, even in conserved areas nominally of ‘natural beauty’, to be rather sanitised, and are prepared to see wild areas and biodiversity eroded despite the warm words about wildlife ‘protection’. And what of intensive sheep farming, wind farms and second homes? In the face of these internal contradictions, who are National Parks actually for? The National Parks’ statutory purposes make specific reference to the economic and social wellbeing of local communities. Local occupancy clauses have been used to try to mitigate some of the worst of the exclusions for local residents of National Parks, but desirable places with attractive landscapes experience economic pressures of two sorts. For some local people, second homes will drive up prices and reduce their chances of staying within the National Park. Conversely, motorboat owners, zipliners, climbers and mountain bikers bring money into the cafés, restaurants and shops in the Parks, and so there is a strong pressure to accommodate commercial interests, even at the expense of the wildlife. The third imperative of National Parks relating to the social and economic interests of local communities (and what is ‘a community’? Can a collection of second homes, a few people working in a gold mine or a group of hikers walking a green lane, be a community?) may not be achievable in conjunction with the first and second. Consequently, tourism is accommodated, facilities constructed, and nature driven back. National Park boundaries are not always impermeable. UK Government Minister Amber Rudd said early in 2015, ‘we have agreed an outright ban on fracking in National Parks’,6 but opinions on the environmental risk and appropriateness of shale gas extraction vary over time. The UK Government’s current view of appropriate preservation of scenic and valuable habitats allows drilling next to National Parks, if not directly in them, even when corrosive fracking fluids can be injected 1.2 km below ground inside the Park boundary. The net addition to atmospheric carbon from burning this fossil fuel, and the impact on future climate change, will also be significant. Clearly, a bounded National Park area does not automatically protect the environment overall. Boundaries can introduce other challenges too, displacing and concentrating damaging activities to just beyond the protected area, or encouraging particular agricultural practices to operate more intensively in one area than another and inflicting greater overall damage as a result. Another example of modern priorities, such as roads, potentially breaching the boundaries of a Natural Park came about in the area around Arundel in Sussex when it became the subject of major debate only a few years after the creation of the South Downs National Park in 2010. Proposed bypass routes intruded into the Park or bisected important habitats, severing wildlife corridors. The route finally selected will inevitably introduce noise, traffic and light pollution into a protected area that was formerly rather peaceful, even if not ‘natural’. And whether the road reduces, or merely displaces, Arundel’s congestion remains to be seen. The loss of upland soils in the face of intensive sheep farming, the smaller role of uplands in reducing damaging flood runoff, and the loss of native forests, all suggest that National Parks are not fulfilling their missions, at least in some areas of the UK. However it is impossible to be certain because, from an experimental perspective, what might have happened in the absence of National Parks can only be the subject of speculation. There could have been even more inappropriate development (although the UK has other legislation to help prevent that) and wildlife might have been driven away to an even greater extent than has occurred already. Carolyn Roberts is a water resource management consultant and a Vice President of the IES. She was the first Frank Jackson Professor of the Environment at Gresham College, was formerly Director of the Environmental Sustainability Knowledge Transfer Network at the University of Oxford, and is currently Entrepreneur in Residence at Keele University. 1. National Parks. The aims and purposes of national parks. https://nationalparks.uk/students/whatisanationalpark/aimsandpurposesofnationalparks [accessed 9th January 2019]. 2. Wikimedia Foundation (2010) The Sandford Principle http://enacademic.com/dic.nsf/enwiki/564662 [accessed 9th January 2019]. 3. Waugh, E. (1938) Scoop. London: Chapman & Hall. 4. WWF International (2014) Living Planet Report 2014: Species and spaces, people and places. https://www.wwf.or.jp/activities/data/WWF_LPR_2014.pdf. 5. Rothamsted Research (2014) The Insect Survey. https://www.rothamsted.ac.uk/insect-survey [accessed 9th January 2019]. 6. Perraudin, F. (2015) Fracking under national parks approved by MPs amid acrimony. The Guardian, 16th December. https://www.theguardian.com/environment/2015/dec/16/fracking-under-national-parks-approved-by-mps-amid-acrimony [accessed 9th January 2019].